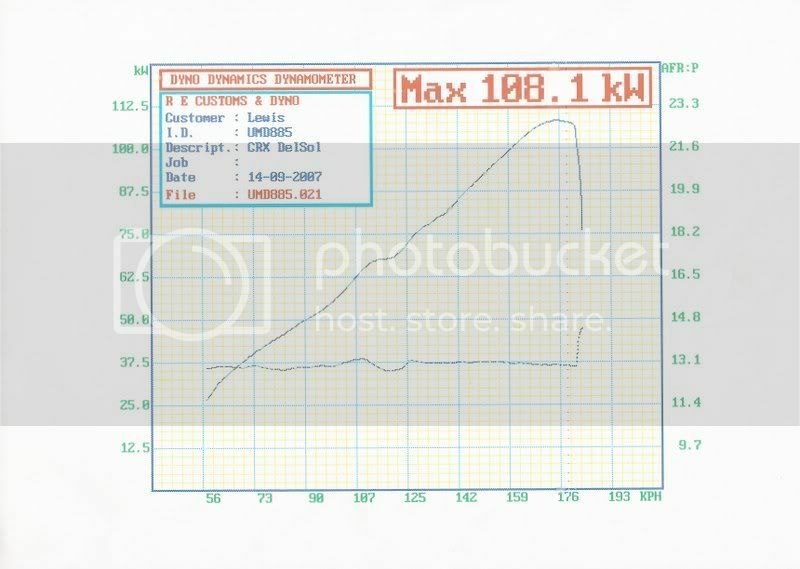 People post your dyno results here. Please include all modications and a quick summary, all other posts will be deleted. A scanned Dyno printout would be great. Last edited by 94vtirozguy; 24th May 2008 at 07:59 PM. 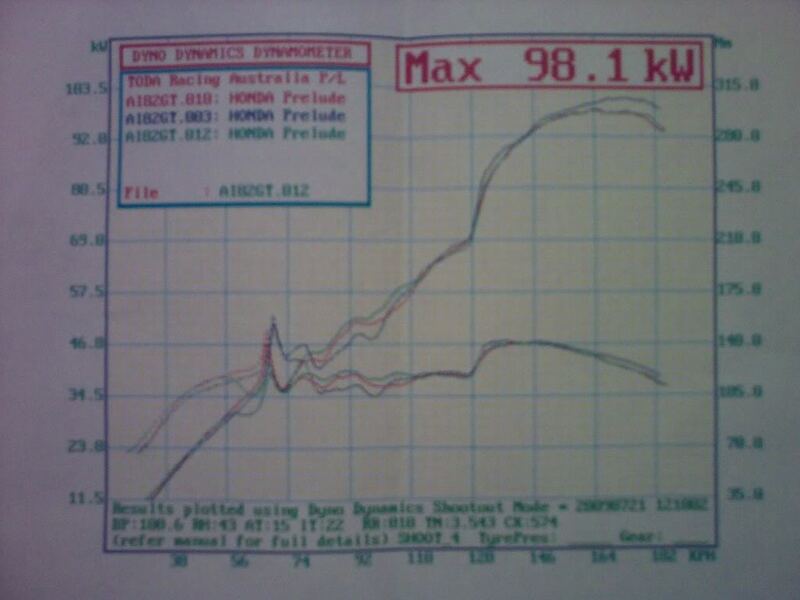 increased the torque by over 30NM as you can see in graphs. It is much more driveable and the torque is definately felt through out the rev band as you can see below. It pulls alot harder and i can actually keep the car in 3rd or 4th around a round about and not worry that i have no torque what so ever. ITS GREAT!!!!! Last edited by PrelUDeman; 15th July 2009 at 06:00 PM. VTEC just Kicked In Yo!!!mmmMMMMMMMMMMBBBAAAAHHHHH!!!!!! WTB- Rear strut, Front/Rear Sways, JDM Visors. 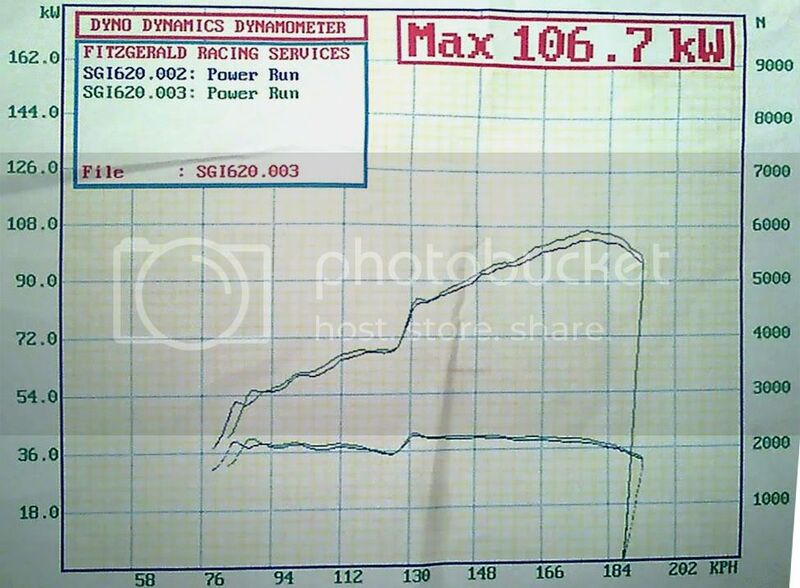 just found my dyno from ages ago, before exhaust mods. Last edited by kelviN; 21st July 2009 at 09:38 PM. Engine Mods: K&N Pod filter, exhaust system. Other Relevant mods: Thermal tape.